Jenna Marbles is a YouTube comedian and vlogger who currently has over 17 million subscribers. Her videos have over 2 billion total views, and her channel is the 23rd most subscribed on YouTube. Many of Jenna Marble’s videos have gone viral, thus establishing her as a major influencer on the platform. She is considered an icon in the vlogging and comedy world of YouTube. How Did She Make Her Money & Wealth? Since the beginning of her channel, many of Jenna Marble’s videos have gone viral. Marbles has been making videos since 2010, and as a result of her viral success she has accumulated a large portion of her wealth from ad revenue and sponsors. It is not unusual for influential YouTubers such as Jenna Marbles to make millions per year. There are many conflicting sources regarding Marble’s exact income, but it is almost certain she is bringing in millions per year. Some sources estimate she earns as much as 4 million annually! Independent YouTube content creators such as Jenna Marbles, Smosh, and Ryan Higa were among the first to make a full time career out of videos. Being an early adopter as well as creating entertaining and unique content has greatly benefited Marbles. 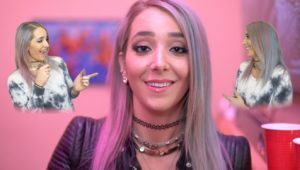 How Did Jenna Marbles Get Rich From YouTube? Prior to striking YouTube gold, Jenna Marbles lived a relatively normal life. She moved to Boston to attend Suffolk university after graduating high school in 2004. She earned a Bachelor’s degree in Psychology, and later earned a Master of Education in Sport psychology and counseling at Boston University. Unfortunately, Marbles experienced some difficulty finding a full time career. She had no choice to work many odd jobs and part-time gigs to pay her $800 rent. These jobs included waitressing, bartending, working at a tanning salon, and even go-go dancing. Marbles did some blogging during this period as well. It wasn’t until she released her first viral video that her life changed. In 2010, Jenna Marbles created her channel. Although her real name is Jenna Nicole Mourey, she swapped her last name with the name of her chihuahua to create a memorable persona. Her first viral hit was “How To Trick People Into Thinking You’re Good Looking”. In the three minute video, Marbles transforms herself from an average girl to an exaggerated parody of makeup and fashion trends. The video is also a mockery of herself. Marbles tells the viewer to do “something degrading” – in her case, dancing in her underwear. The video ends with Marbles clinging to her master’s degree while faking sobs and tears. The video was viewed 5 million times within its first week, and to date has been viewed 65 million times. Marbles made several spinoffs of the video which also received millions of views. In 2011, she released another viral hit – “How To Avoid Talking To People You Don’t Want To Talk To“. 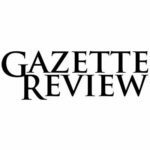 The video has 35 million views as of May 2017, and was also featured in several new publications. 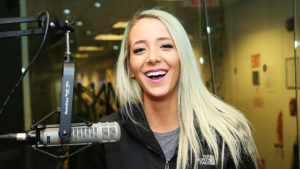 Now boasting an established reputation for comedy, Jenna Marbles began to collaborate with other YouTubers. She appeared in and helped create videos with Smosh, Ryan Higa/Nigahiga, Daneboe, and Epic Rap Battles of History. Marbles has not only limited herself to YouTube, of course. In 2015, she released a line of stuffed dog toys named and modeled after her real dogs. She has also created a product line for her official channel. In 1016, Jenna Marbles was chosen as the executive producer for the film Maximum Ride. Marbles also hosts the YouTube 15 weekly pop countdown on Sirius XM Hits 1. Marbles regularly uploads videos, usually on Wednesday or Thursday. Jenna Marbles lives in Santa Monica, California. She rented a 1.1 million dollar townhouse in the city – quite the upgrade from sharing an apartment with two roommates. She has since moved into a new house, although she has kept the exact location a secret . Marbles lives with her long time boyfriend and YouTuber Julien Solomita. The couple hosts a weekly podcast where they discuss various topics. They sometimes invite other popular YouTubers on the podcast. Marbles and her boyfriend are both gamers, and both of them have channels on Twitch. They regularly attend gaming conventions. The pair has three dogs. YouTubers like Jenna Marbles often have rather obsessive fans. When Marbles first purchased her home, fans were knocking on her door so much she had block off her property. In December 2016, Jenna Marbles and Julien Solomita were in a car accident. Thankfully, there were no injuries. Marbles has employed several of her family and friends with her channel. Her mom was previously unemployed before working as the primary manager of her daughter’s content and employees. She has featured her family in some of her videos. She is not as as wealthy as you portray. The figure you stated may be as much as 100% too high and it is indicative of possible gross income, not invested wealth or liquid assets. She does not own a home, in fact, she has stated that she can not afford to buy a house in the Los Angeles area. To save money (she has stated that she is frugal and earning money is not her ambition) and to avoid the high rents in Santa Monica she moved inland to another city to rent a lower-cost house. Only one fan with her mother once came uninvited to her house and she did not “block off” the rented property. The stuffed dog toys were discontinued several years ago. The only relative she employs is her mother and the few others that work for her are not hired friends, they are professionals that are typical of a self-employed public figure. She is not a comedian or even a performing artist, she is an Internet and radio personality who also makes paid public appearances. This article also says in ‘1016’. Clearly no proofreading or fact checking. Do you get your information from watching her videos? Her stuffed dog toys can still be purchased on-line. Also, she is considered a YouTube comedian and at times is pretty funny. She moved to the Studio City area, it’s easy to tell from videos where they walk their dogs. That’s hardly inland and just as sought after and expensive as Santa Monica/Westwood area. I also hardly believe she couldn’t buy a house if she wanted to. With even a couple of hundred thousand a year, she could afford it. She probably just prefers the flexibility of renting particularly while she is living with Julien and they haven’t joined their finances. And you can generally get more house for your money if you rent. She lives in Sherman Oaks not far from a freeway. They sometimes drive to various locations to walk the dogs. I suspect her parents, brother, assistant, and attorney give her counseling about wealth management including investing in a house and she probably would have done so by now. In the past they have mentioned moving to get away from the Southern California social atmosphere and spoke of moving to a city like Austin, Texas but Julien’s family is nearby and it seems that Jenna’s mother is now also living nearby for much of the year. This is seems like an article I read earlier. I wonder if your reporting plagiarism? Net Worth or gross income aside, Jenna’s content is mainly entertaining though she has up and down days…I don’t think I’ve ever seen a dud. I liked her better without Julien but I suppose she has run out of rants and as she ages is wise to evolve the format. I’m warming up to Julien. When I speak to anyone about YouTubing I often refer to Jenna as well as Smosh as the benchmark for a teenager who wants to start their own channel. The Smosh guys are in my area and I’ve been in a few of their videos. Had enough contact to get a good sense of how they do things. Don’t like the new Smosh, but have continued to follow Anthony on his new channel. He’s been creative and I believe is doing well on his own. Always believed Ian was the talent and Anthoney the pretty face in that duo…I’m fairly certain Ian wrote most of the scripts though had, of course, input from Anthony. However, Anthony is doing well on his own. I hope he evolves with Miel having a bigger part in the show…she is FUNNY.